Martell was member of the School of Mines, Ballarat (SMB) council in 1890, Vice President 1891-1895, Director 1895-1912 and Registrar 1895-1914. In 1895 he played a major role with the experimentation and early pioneering works of x-rays. Described by the Ballarat Courier as 'Ballarat's Grand Old Man', he was trained in the Victorian Education Department 1869-75. In 1875 he was appointed drawing master for the Ballarat District. He joined the School of Mines, Ballarat (SMB) in 1880 attaining the position of Vice Principal, finally becoming Registrar in 1895. After 35 years of service he severed his connections with SMB in 1930, according to Warren Perry, author of 'A History of the School of Mines and Industries Ballarat', although he 'continued to take an interest in its affairs till the end'. A founder of the Ballarat Fine Art Gallery, Martell was a personal friend of the famous artistic Lindsay family of Creswick. He formed a considerable art collection of his own over the years. He was a member and office bearer of many associations including President of the Teachers' Union of Victoria, President of the Amateur Photographic Association, President and Secretary of the Science Society, Justice of the Peace (1913), committee member of the Historical Society, Fellow of the Royal Historical Society of England, President of the Progress Association, and member of the Royal South Street Society, Ballarat for 25 years and its president in 1914. 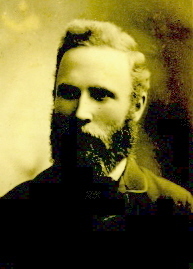 He was the first Honorary Treasurer of the Ballarat Field Club and Science Society (1870). According to a plaque on the Adam Lindsay cottage he was one of a party of men who arranged to move it from site of Craig's Hotel to the Botanical Gardens. Leopold Cobian, Martell's father died when Frederick Cobian was young. 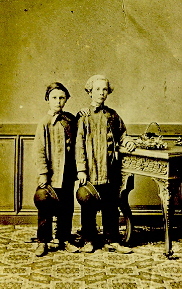 When his mother, Marianne Cobian (nee Field), remarried on 4 December 1855 he was adopted by her new husband William Joseph Henry Martell who was the principal of the Ashby School, Geelong. Frederick then took the name Frederick John Cobian Martell. His half brothers and sisters were also involved in academic pursuits. C. H. Martell was senior headmaster of Footscray School, Gertrude Martell, principal of a girl's private school, Horatio became a general practitioner, Harold a dentist, Arthur Martell was a coffee planter of Costa Rica, while Ella married the Victorian Government architect and Ada became the wife of a Sydney solicitor. Born 15 September 1853, Geelong Frederick Martell married Florence Cutter of Ballarat in 1878. He died, aged 84, on 7 February 1938 in Ballarat.